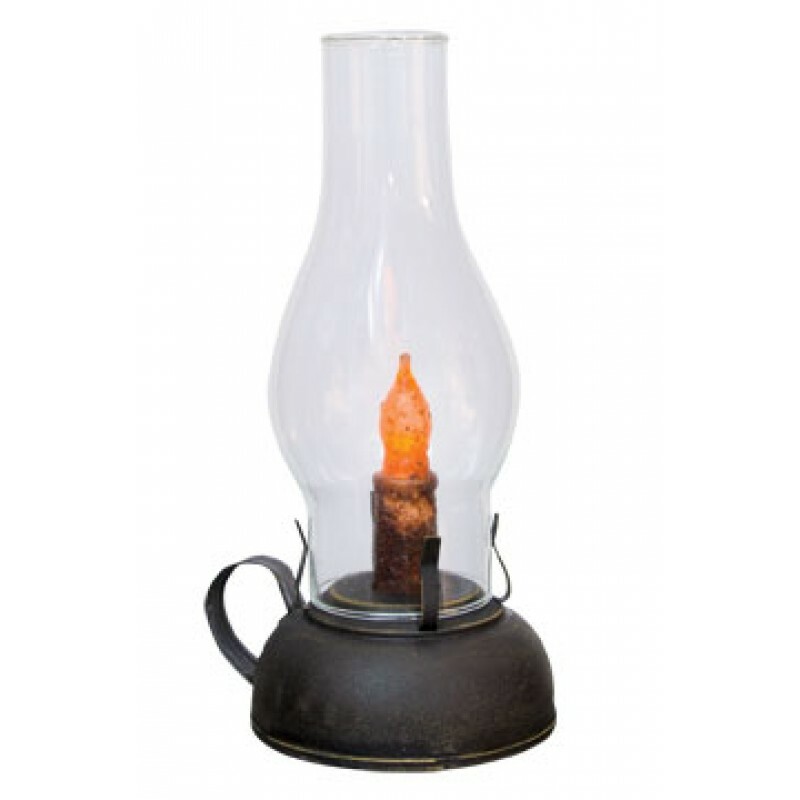 Library Lantern is made of distressed, smoky black tin with a strap metal handle and a glass chimney. It has a battery-operated LED candle with a timer feature keeps the candle lit for 6 hours and off for 18. Requires 3 AAA batteries (not included). Measures 9" high by 6" wide. ..for new product announcements and exclusive monthly savings! Sign Me Up!